Red Wing Heritage is happy to announce that we will be showcasing the work of the artist Erika Duran at our booth this year! We will be giving out a limited number of her amazing desert inspired enamel pins on a first come first serve basis per day. Come by the Red Wing Heritage Womens booth on site at Babes Ride Out 5!!! Erika Duran is a Philadelphia-based embroiderer whose work is inspired by her upbringing in the desert of West Texas. 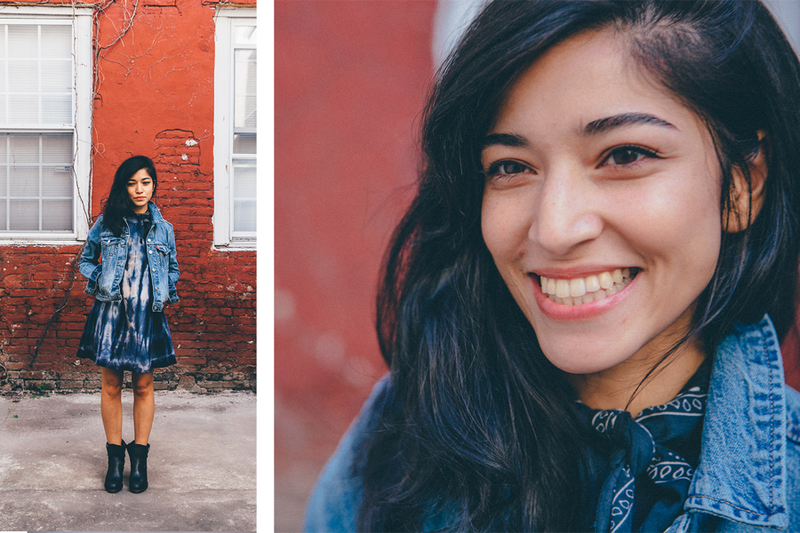 Duran’s business Eradura is a one-woman shop that specializes in intricately crafted patches and striking pins, many of which stylistically reflect her time spent in the southwest. This hard-earned toughness prepared Erika for the challenges of her work and is unmistakably a foundational characteristic of the Red Wing Women’s Collection. It’s this resilience, coupled with Erika’s passion for craft that drew us to her as a kindred spirit of our women’s collection this season. A defining characteristic of Erika’s embroidery is how she brings her designs to life entirely by hand. 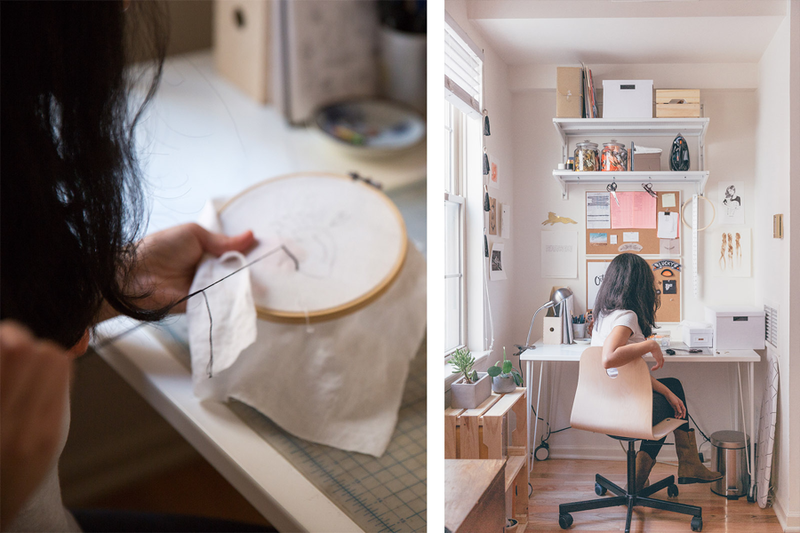 Eschewing machines, she relies entirely on unwavering hands and patience for the intensely meticulous and time-consuming needlepoint process. 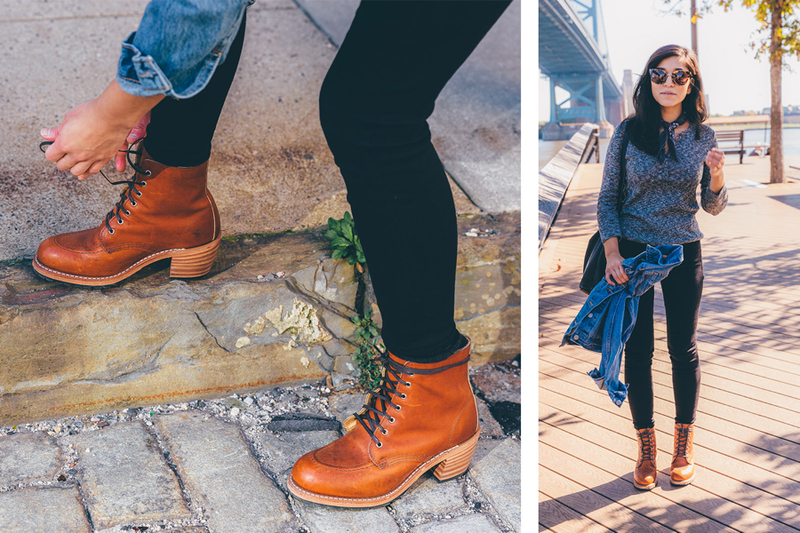 Erika’s appreciation for the detail and process of craft is echoed in her affinity for Red Wing. 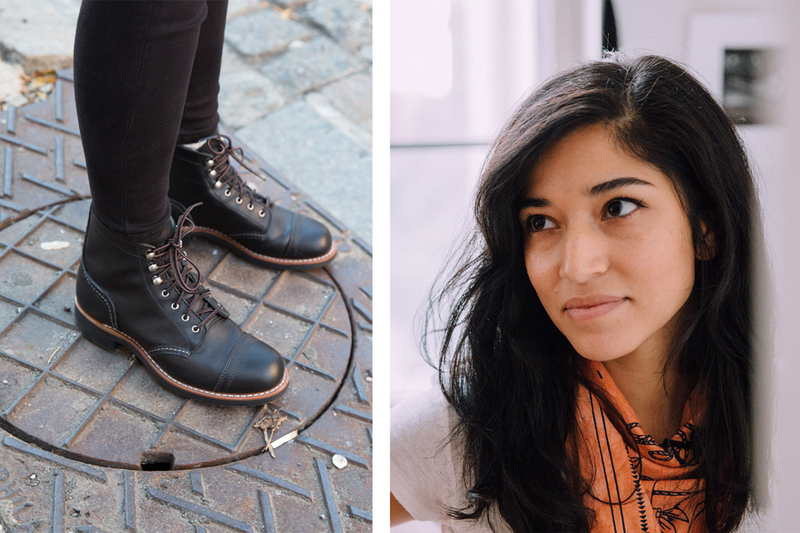 Erika is pictured (in order, above) wearing the Clara – Oro Legacy, Inez – Black Boundary, Pecos – Amber Harness, Pecos – Olive Mohave, and the Iron Ranger – Black Boundary. Our fall collection is now available online and in select stores. Check out Eradura to shop her online collection and learn more about Erika’s work.